The Millennial Generation is the largest generation in United States history. According to the US Census Bureau: “[Millennials] born between 1982-2000, now number 83.1 million and represent more than one quarter of the nation’s population. 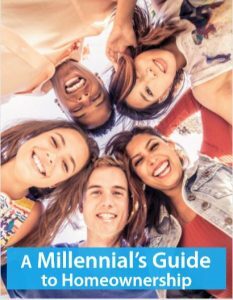 Their size exceeds that of the 75.4 million baby boomers.” If you are one of the millions of Millennial’s who has seen their peers begin to buy homes recently and are wondering what it would take for you to do the same… you’ve found the right eGuide!